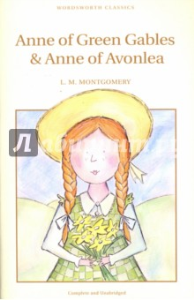 "Anne of Green Gables & Anne of Avonlea"
When Matthew and Marilla Cuthbert apply to an orphanage for a boy to help on their farm, Green Gables, they are astonished when a loquacious little girl steps off the train instead. Anne, red-headed, pugnacious and incurably romantic, causes chaos at Green Gables and in the village, but her wit and good nature delight the fictional community of Prince Edward Island, Canada, and ensure that Anne of Green Gables continues to be a firm favourite with readers worldwide. 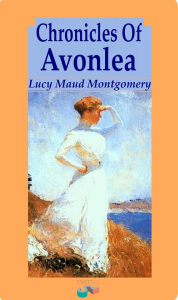 Anne of Avonlea continues Anne's story. Now half-past sixteen but as strong-headed and romantic as ever, Anne becomes a teacher at her old school and dreams of its improvement. 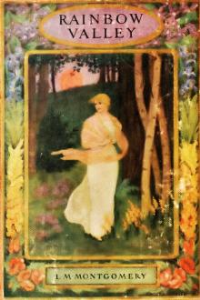 But her responsible position and mature ambitions do not prevent her entanglement in the scrapes that still seem to beset her in spite of her best intentions. 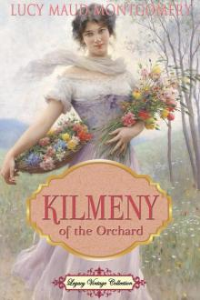 Thoroughly charming and amusing, with a supporting cast of colourful and endearing characters, both books will enchant and entertain readers, guaranteeing that Anne's adventures capture their affections as well as their imaginations.